Possibly one of the best and most awaited Telugu film Arjun Reddy is coming in theaters this Friday. A lot of speculations could be seen for Arjun Reddy Review where a part of society not getting digest the Vijay-Shalini and a large part praising the deep storyline herewith. The lead role is portrayed by Vijay Devarakonda who is a bachelor surgeon and have not much interest in love life. But later a day, Shalini enters in his life. The genre of this film is ‘Film noir‘ along with being a romance-love story. The mixed pool of emotions, Drama, romance could be clearly seen going through the different scenes. Projecting life of doctors was yet one of the most difficult tasks with the audience and this has been done perfectly well. Arjun Reddy Movie is not just a drama show where two lovers got separated because of the conditions and then a villain arrives to make them meet once again. Arjun Reddy Movie is rather a pool of emotions which demonstrates the value of the true love and value of the first love, a distinction between the two important aspects. Along with the positive aspects, there are negative ones as well. The film could not be watched with Family, even the trailer suggests that. It has a lot of scenes which might not be safe for the family watch. For teenagers and couples, this could be the perfect time to enjoy Vijay’s love life with a lot of gags. The movie depicts an entirely new phase of storytelling in the Indian cinema. Director Sandeep Reddy Vanga perfectly played while shifting from serious scenes to comedy ones. The first part keeps you entertain for every moment while the second part goes down at times. Vijay’s Pelli Choopulu created a vast impact on the fan base and now the audience has already pre booked the first shows of film. The best part of this film is the plot, the movie is not plot driven. One couldn’t easily guess what is going to happen in the very next scene which keeps it entertaining and subjective. “Can Love Happen Twice” is Ravinder Singh’s bestselling novel of all times whose name perfectly fits with the storyline of Arjun Reddy Movie. The film is definitely a must watch for all teenagers and mature audience. Children should avoid this film as it has a bunch of scenes which are mature rated. Overall the movie is great to work of Arjun Reddy team but second part works on little disappointment after the energetic first half. A must watch this weekend for all the suitable audience. 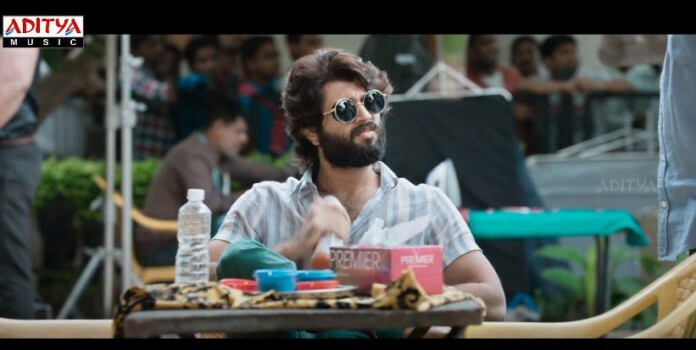 In one line review, Arjun Reddy is Entertainer of The Week. Next articleArrow Season 6 Release Date, Spoilers & Cast: Is Richard Dragon The Next Big Villain?